From Philip Kerr, the New York Times bestselling author of the Bernie Gunther novels, comes a breathtaking journey of survival in the dark days of WWII, perfect for fans of The Book Thief, Milkweed, and The Boy in the Striped Pajamas.It will soon be another cold winter in the Ukraine. But it's 1941, and things are different this year. Max, the devoted caretaker of an animal preserve, must learn to live with the Nazis who have overtaken this precious land. He must also learn to keep secrets--for there is a girl, Kalinka, who is hiding in the park.Kalinka has lost her home, her family, her belongings--everything but her life. Still, she has gained one small, precious gift: a relationship with the rare wild and wily Przewalski's horses that wander the preserve. 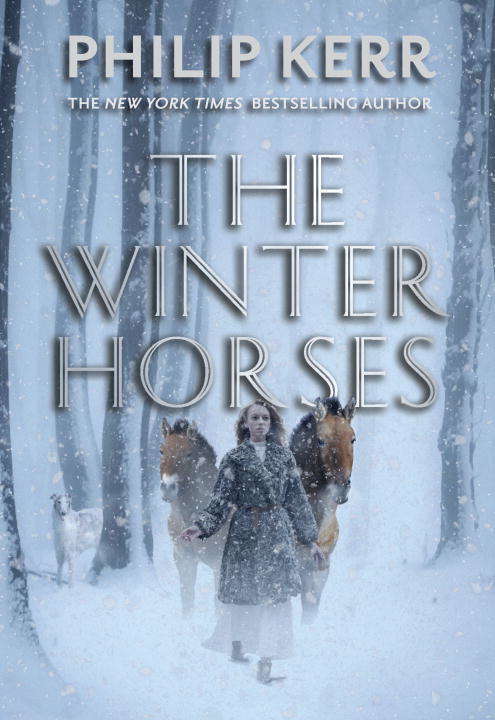 Aside from Max, these endangered animals are her only friends--until a Nazi campaign of extermination nearly wipes them out for good.Now Kalinka must set out on a treacherous journey across the frozen Ukrainian forest to save the only two surviving horses--and herself.This sensitive, inspiring tale captures the power of sacrifice and the endurance of the human spirit. From the Hardcover edition.